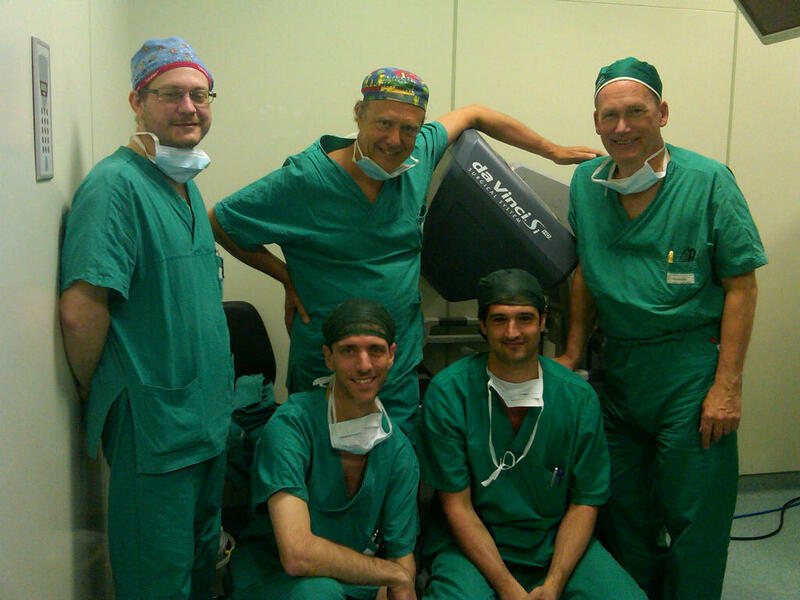 "We worked with the team in Milan to perform some of the first robotic surgeries in children in Italy. We did two robotic pyeloplasties and a unilateral ureteral reimplantation surgery for vesicouretal reflux. The children did very well and were discharged in about half the time that is usual for these procedures in Italy. The day after the surgery, one little boy we treated was happily playing video games with his sister, looking perfectly happy." In addition to working with hands on with the surgical teams in the operating room and through case review, Dr. Peters also gave a guest lecture about the future promise of robotic surgery, similar to his recent Grand Rounds at Children's. Dr. Peters and the surgical team in Milan, Italy.